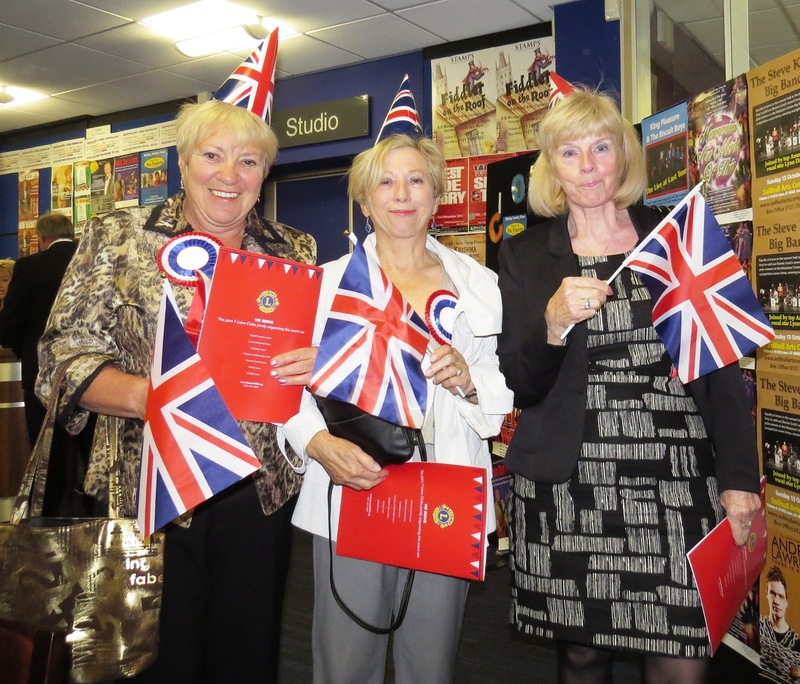 I’ll start with the Last Night of the Proms which was a super event organised by Balsall Common, Castle Bromwich & District, Exhibition, Knowle and Dorridge, Marston Green, Shirley and Solihull Lions Clubs also known as the Solihull 7. It was also my first opportunity of the year to meet the mayor of Solihull and his wife, Councillor Joe Tildesley and Mrs Joan Tildesley. Joe and Joan are a really nice couple and we spent some time comparing bling (he won) before enjoying a fantastic night of music from the Flowers Band. 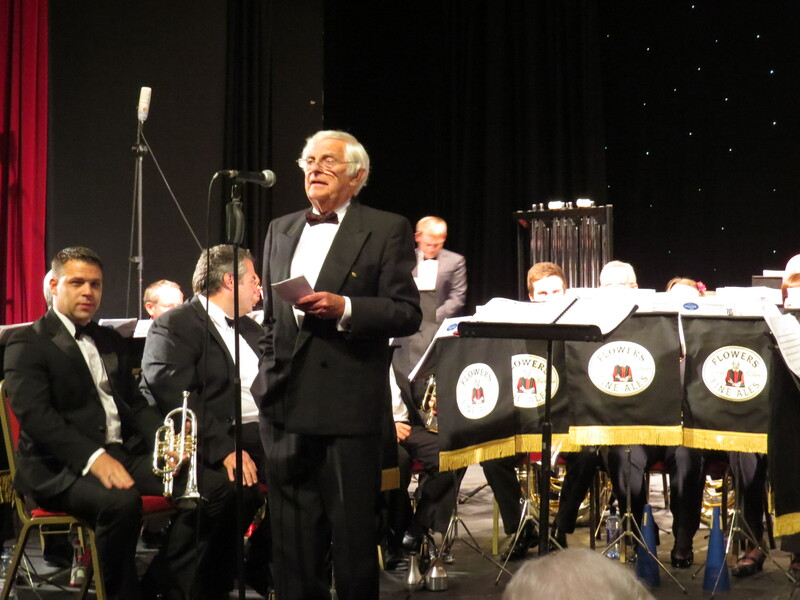 The Flowers Band, based in Gloucester, is now in its 45th year. It was formed in 1968 as a result of the disbandment of the Royal Gloucester Hussars (Territorial Army) Brass Band. After negotiation with the Ministry of Defence, the instruments were purchased and most of the former R.G.H. bandsmen, together with other local players, formed the City of Gloucester Band. Since then the band has had a variety of sponsors including Whitbread in the Community and Flowers Brewery. Much success was gained under the ‘Flowers’ name in the contest field. The band rose rapidly up the Championship Section ladder in 1986 where it has since established itself in the top 20 of the Brass Band World Rankings table. 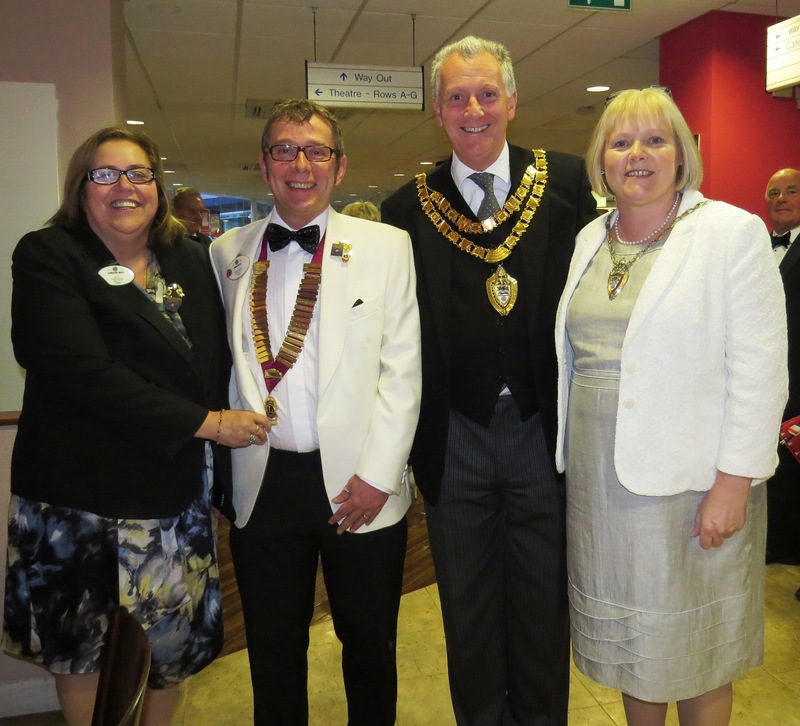 The following evening I visited Kettering and District Lions Club and was impressed by the professional way their meeting was run and by the variety of activities they are undertaking. 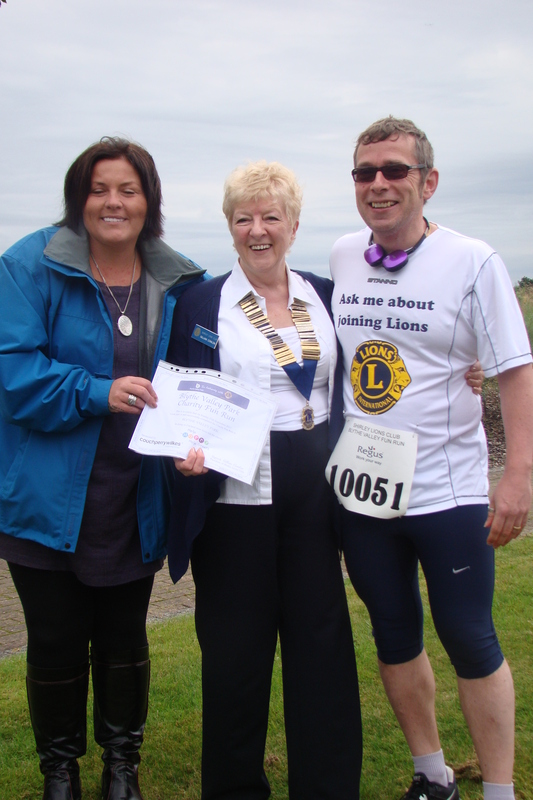 Two evenings later I travelled to Rothwell, about five miles from Kettering, to visit Rowell Lions Club. 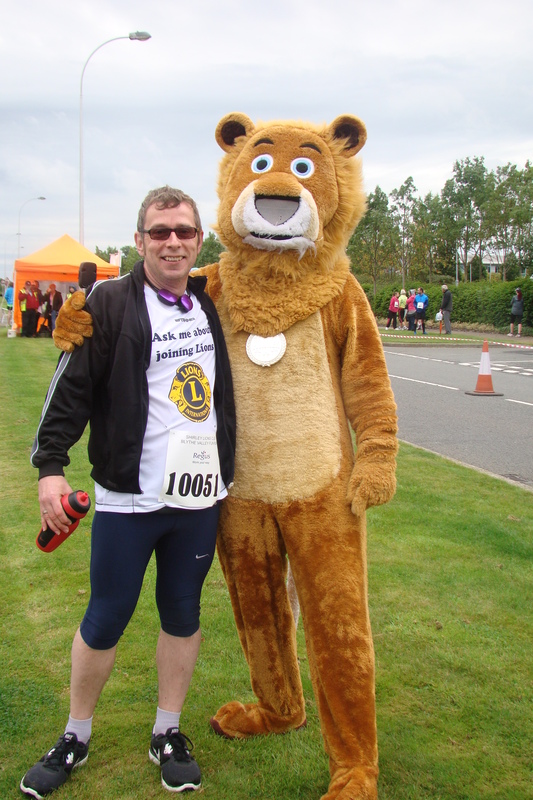 They are so named because there already existed a Rothwell Lions Club in Yorkshire. I did not know what to expect at this meeting as the club has not elected a president this year. I needn’t have worried as the secretary, another Simon, managed the meeting well and the club is still active with a good degree of good humour. The last meeting of the week was in the opposite direction in Wolverhampton. 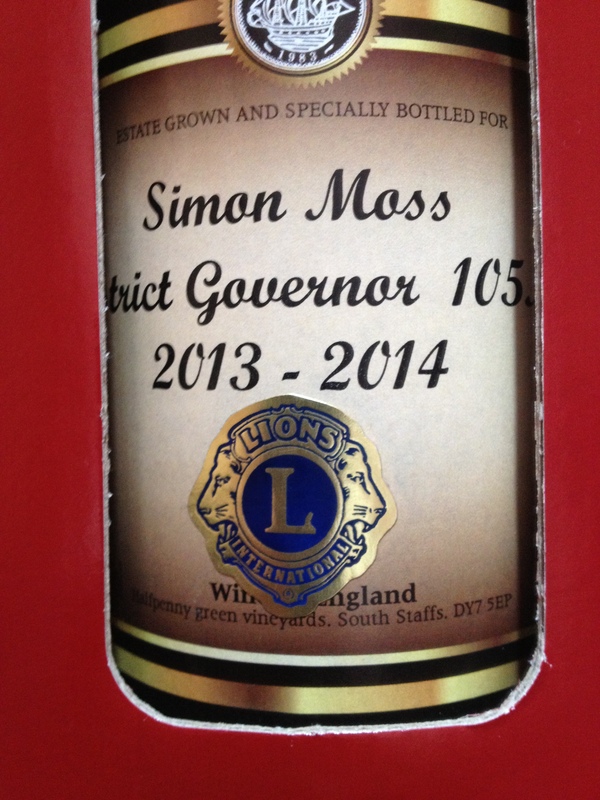 A surprise awaited me at this meeting as I was presented with a personalised bottle of wine from the Halfpenny Green Vineyards together with some shortbread produced at the same location. These gifts were topped, however, by a very generous donation from the club to Christine’s charity for the year, Me & Dee. 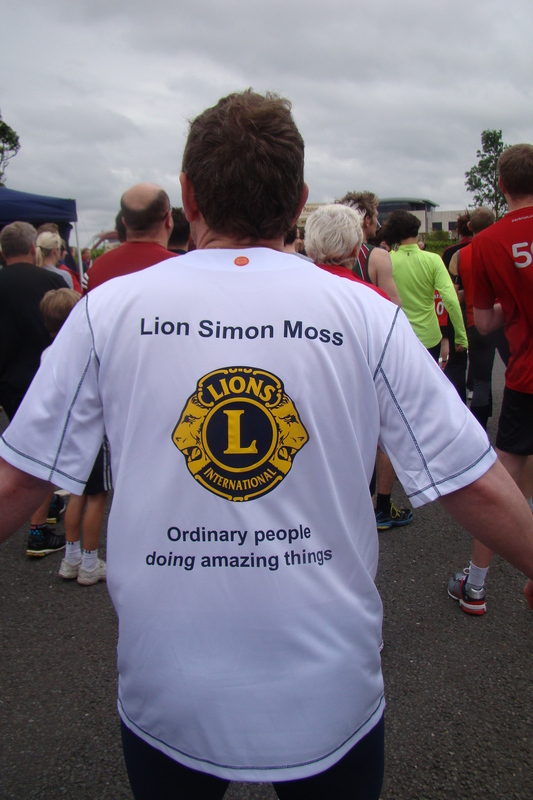 The final event for this post was the Shirley Lions Fun Run held at the Blythe Valley Business Park. The weather forecast was atrocious but, despite being cold and windy, the rain held off. 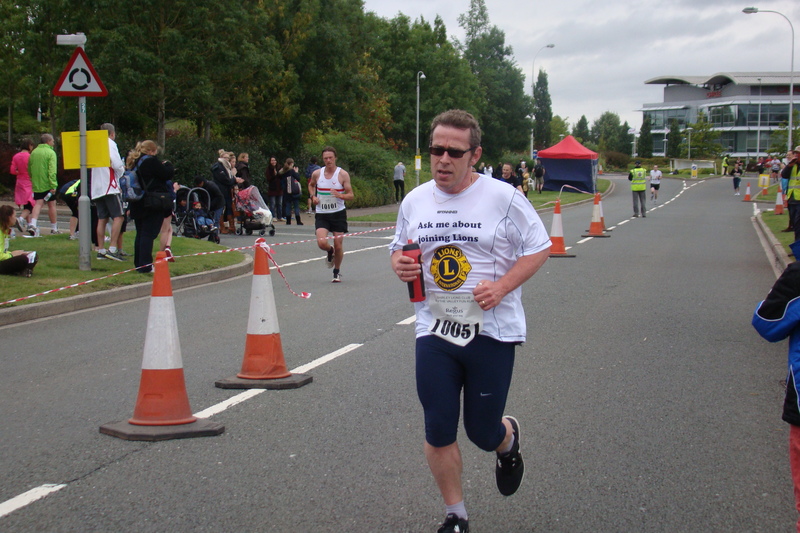 There were three running events, a 500m for under 12s, a 5 Km and a 10 Km run or walk. 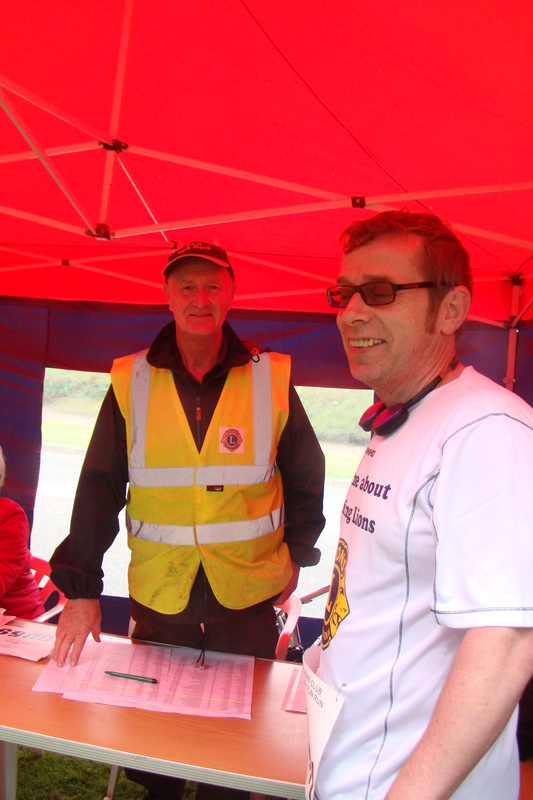 I was entered into the 10 Km as the first of my nine runs in support of Me & Dee. Although advertised as a 10 Km race the official distance was 10,292 metres, my GPS measured it at 10,720 metres, and I completed the four lap course in 53 minutes, an average of 4:59 per kilometre and my fastest time this year. 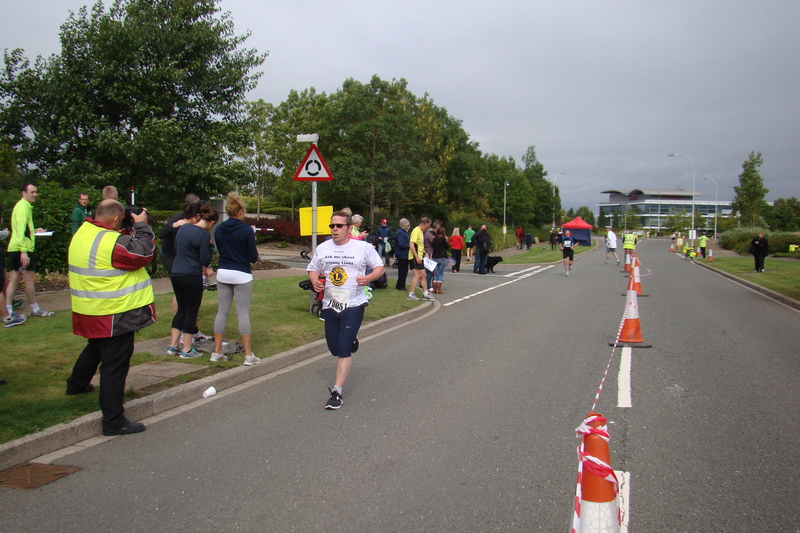 It was a well run event with the entry fees and some of the sponsorship going to Help Harry Help Others, a local cancer charity.